New to the range and not on general release. 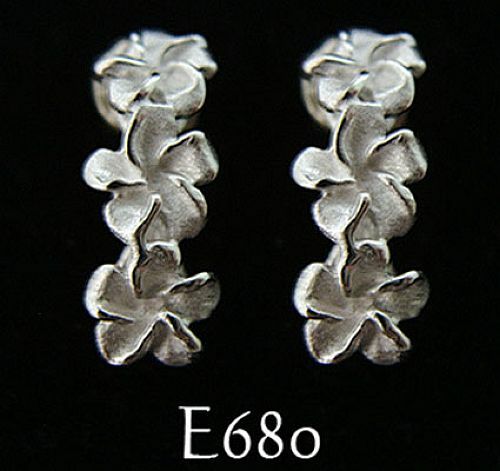 Sterling Silver stud earrings. Linked Plumeria (frangipani) flowers in a curved drop, extra white finish and highly polished edges. Total drop 15mm, flower diameter 6mm.